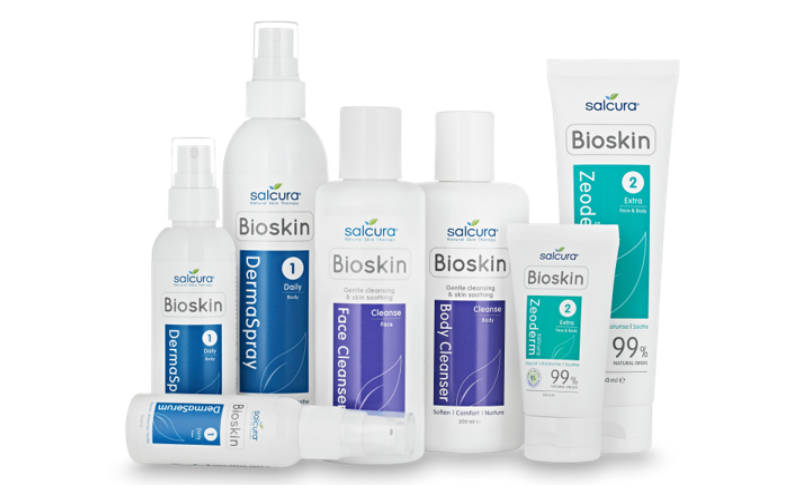 Woman Magazine Competitions | Prize Draw - Win Salcura’s Bioskin range! At Salcura we believe in the principle of homeostasis - the idea that the body and skin will find its own balance if it is given the right nutrients and care. Our revolutionary DermaSpray and Zeoderm Cream products have over the past 10 years proven to give active care to the dry and sensitive skin that needs it the most. Our Bioskin range will help anyone with a dry to severely dry and sensitive skin. The products are also suitable for people who may be prone to eczema, psoriasis, dermatitis and rosacea. Our three Therapy products are the Dermaspray (prize includes a 100ml & 250ml) which contains 15 different natural oils and extracts to deeply nourish and hydrate the skin. Our Dermaserum (prize includes a 50ml) is a gentle face serum to help with any redness or dryness in the face. Our best-selling Zeoderm (prize includes a 50ml & 150ml) containing unique ingredients like the volcanic mineral Zeolite, Linseed and Jojoba to detoxify the skin, bind moisture into the skin and gently soothe and protect the damaged skin. In addition to our treatment products this amazing pack contains our Omega Rich Face Wash and Body wash (prize includes a 200ml Face Wash and a 300ml Body Wash), especially designed for those with dry and sensitive skin. All our wash products do not contain any ingredients that are considered bad for the problem skin like SLS, Parabens and synthetic fragrances.